Have you guys been getting any fall weather recently? It was actually sixty-nine degrees here in Austin yesterday morning, I couldn’t believe it! So nice! 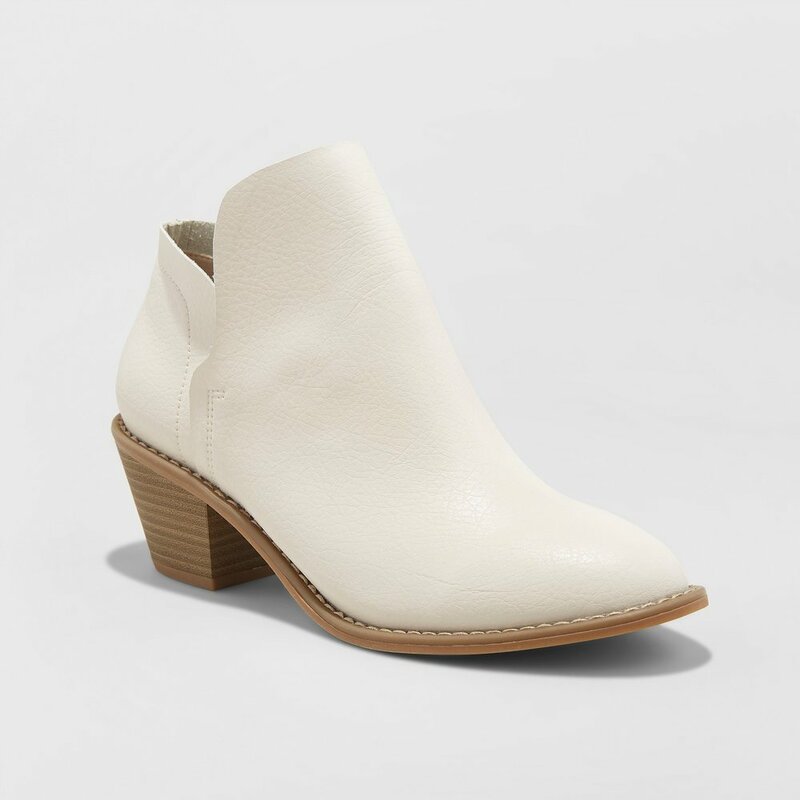 It’s perfect timing, because I have had boots on the brain, and I can’t wait to break them out this season, along with all the other fall fashion essentials. With that in mind, I thought I’d look around and gather up some of the cutest pairs of booties to transition into cooler weather. The great news here is that all of these pairs (except one) are under $150. Many of them are even under $50. Woo! Most of these are more practical and work better with casual styles, but a few of them can be dressed up easily. Can I just say that I’m really happy about the fact that combat boots are trending again? I love the cleaner, more minimalist versions that retailers are putting out, though. Makes me feel edgy and grown-up at the same time. And who doesn’t want that? Anyway, that’s all for me today, hope this helps you find some fresh new pieces for your fall wardrobe! If the weather allows, I will have some outfit inspiration for you on Thursday, so cross your fingers that I don’t get rained out!